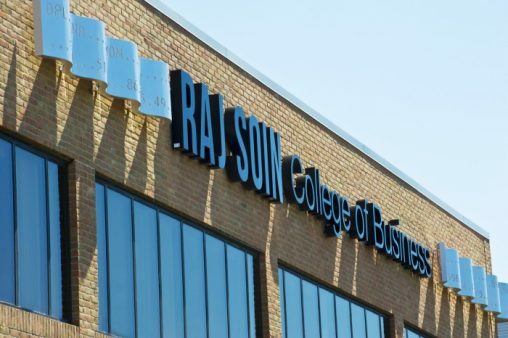 Marketing faculty members in the Wright State University Raj Soin College of Business will serve as guest editors on a special issue dedicated to mobile apps for the Journal of Business Research. The project includes Wright State faculty members John Dinsmore, associate professor of marketing; Kunal Swani, associate professor of marketing; Kendall Goodrich, chair of the Department of Marketing; and Umut Konus, associate professor of marketing at the University of Amsterdam. Journal of Business Research, rated as the top marketing journal in the world by Google, is a monthly peer-review academic journal covering research on all aspects of business. Software apps on mobile devices are a significant and growing area of the marketing field. In the United States, 77 percent of all adults own a smartphone, adults spend more than five hours a day on their mobile devices, and 87 percent of that time is spent in an app. Mobile apps are projected to reach 284 billion downloads and $100 billion in revenues in 2020 worldwide. Given the growth of mobile apps, Dinsmore said, he and his colleagues proposed the special issue topic to the Journal of Business Research. “It seemed crazy that there’s not more research on mobile applications,” he said. The special issue is expected to be published in 2020. Submissions will be accepted between November 1 and December 15, 2019. See the Call for Papers. The issue will focus on quantitative and qualitative research analyzing consumer usage of mobile applications, including app promotion, app store optimization, in-app advertising and use of geolocation in marketing. Dinsmore said he hopes the issue will produce research that helps small software developers improve their products. Small developers are at a disadvantage when they have to compete against large corporations like EA Sports, which have the budget to promote products on TV and in the App Store, he said. “So any techniques that will help the Davids of the world compete against the Goliaths is what I’m hoping for,” Dinsmore said. Mobile apps have been a focus of Dinsmore’s research, including examining in-app purchases for mobile games, where only a very small percentage of users make a purchase.